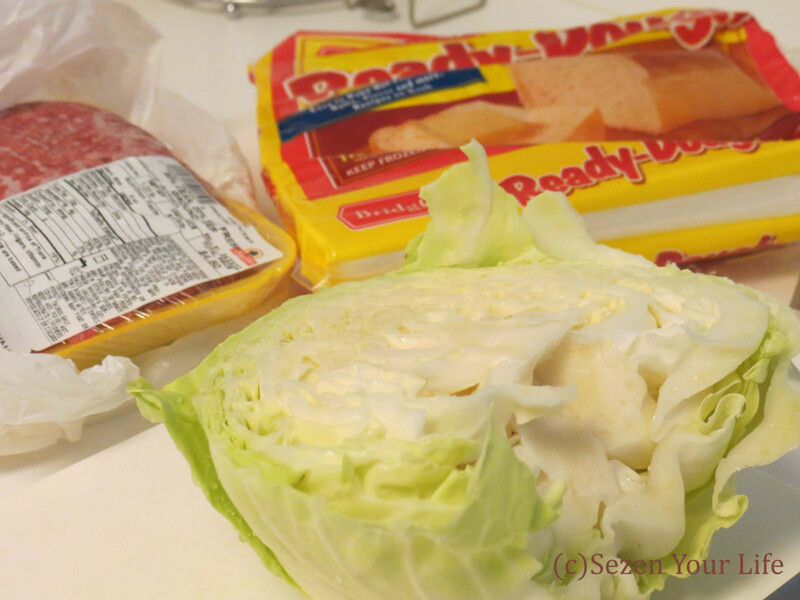 Craving a taste of home and needing to have some quick options on hand when family came to visit, I decided to give my Grandma’s German Cabbage Burger recipe a try. Back in Nebraska they actually have a restaurant chain that sells something similar, and many call them “Runzas“. The name Cabbage Burger can be a little misleading for people unfamiliar with this culinary delight. 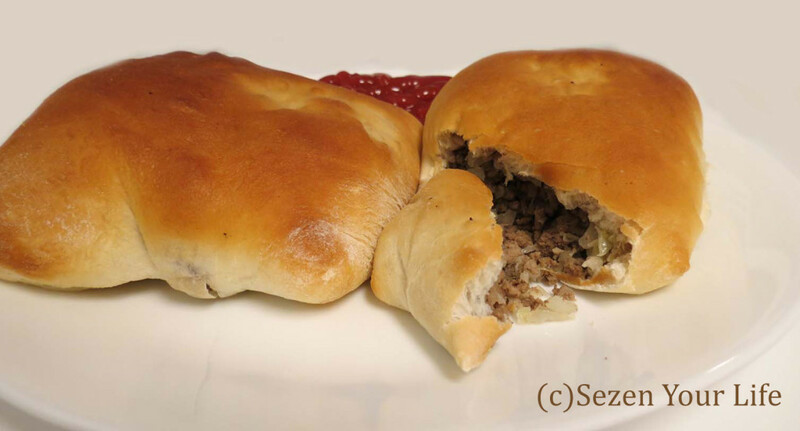 It’s not a new type of veggie burger, but a savory mix of ground beef, cabbage, onion, and seasonings all wrapped up and baked in warm bread dough. A meal in and of itself, Cabbage Burgers are great for dinner or to freeze and keep on hand for a quick bite. 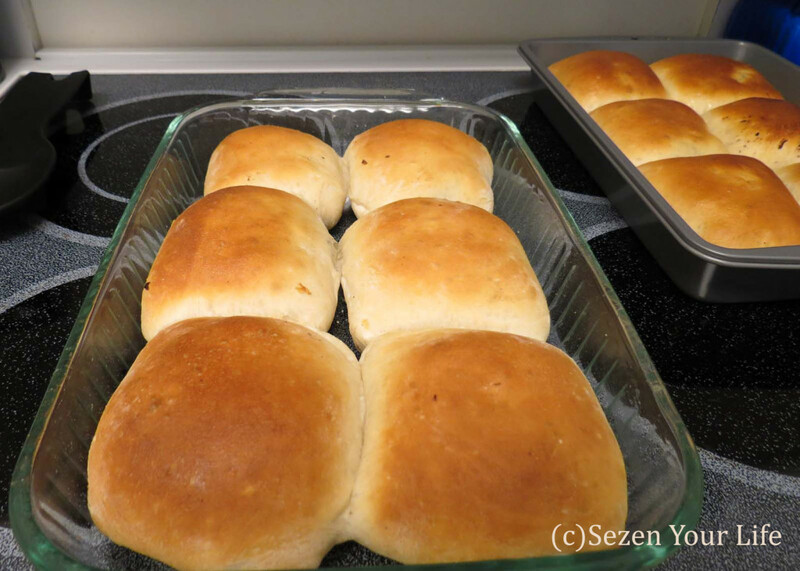 Here is the recipe from Grandma, and I have also included a link to one very similar that helps speed up the prep time by using frozen bread dough rather than making it from scratch or using hot roll mix. They are great with a little ketchup and you can cut a slit in the side to add some cheese, as well. -Or here is the link to AllRecipes.com incorporating the frozen bread dough. Both are very close to the same ingredients, it just depends on your personal taste and available time. Enjoy! Are you a cabbage burger fan? What special ingredients do you like to add, mushrooms, Swiss cheese, barbecue sauce? Send me an email or comment below. You’ve got my brain going…these sound fantastic…now I just have to figure out how to veganize them so my omnivores won’t know they’re vegan! I’ll keep you posted on what I think up. Great post and I love the pics. Thanks! I look forward to hearing your take on them. I know many people use mushrooms rather than (or in addition to) the ground beef. Let me know how it goes. Enjoy! Thanks so much for this!! I have been craving one since I got out of high school (10 years ago) and have finally found a recipe like how my school made ’em!! Thanks a bunch!! You are so welcome! I’m very happy to hear that you enjoy this recipe and that they taste like the ones you remember. Grandma would be thrilled to know others are still making her favorite dish. Ohh how I miss going to Runza on a Sunday with friends. I have not had a Runza or cabbage burger since I left Nebraska..I will have to try this out. Thank you so much for sharing this. You’re very welcome, Lisa. I miss Runza so much. I hope these cabbage burgers turn out great for you. They are delicious and perfect for warming up the house on a cold winter day. 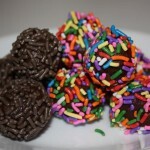 Now that we’re talking about them the craving is kicking in; I might have to make some this week! Question: Do you let the dough rise again after filling and placing in the baking pan? I made them as per the recipe, and although they were delicious, the bread was tough.. I used about a tablespoon of black pepper and added Worcestershire sauce for flavor.. We used to call these Bierocks in Russell, KS.. They were sold in the local bakery. I loved them. Yes, I need to add that to the notes, thank you. After I place them in the pan after filling, I let them rise again, basically until they are spread out and touching. Hopefully this will help soften the bread. You can use hot roll mix or any white bread dough; but so far I’ve been happy with the frozen dough. It helps speed up the process by eliminating a few steps. I’ve never heard them called Bierocks, but if I ever get to Kansas, I’ll give theirs a try. The Worcestershire sauce is a great idea too! Thanks again. Love these. I am from Cambridge, NE. 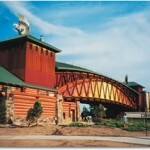 Next big town is McCook. The Sienharts Bakery there still makes these and have for sososos long. Bierocks, Runza the name was interchangeable. I miss them living in MI. Thank you for your post. I reposted on FB and lots of NE peeps commented. That’s so wonderful to hear, Diane, thank you. I hope you and your friends greatly enjoy them! I have been making these for years, using a recipe very close to this. Sehnert’s Bakery in McCook, NE was sued by Runza for calling them runzas, so now the bakery calls them bierocs. 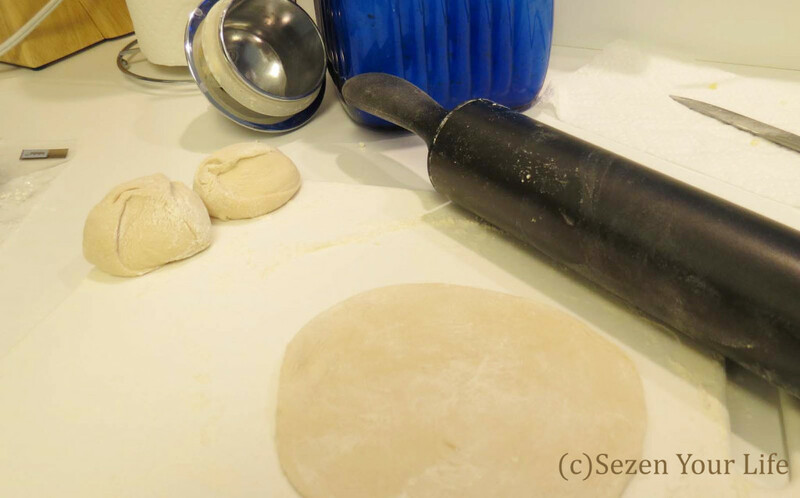 The first time I made them I made the dough from scratch and we ate our evening meal about 11:00 pm. They were good, but very time consuming. I then went to the frozen bread dough, but now……I can buy the dough squares from Sehnert’s Bakery and Bieroc Cafe! Another time saver, which I only used once, is to buy a bag of cabbage already chopped, as though prepared for cole slaw. Buying the dough squares from the bakery sounds amazing. I bet they taste great! Between that and using the bagged chopped cabbage it would save a massive amount of time. I think the preparation is what keeps me from making them very often, so these time savers will be a huge help. Thank you! I hope they turn out great for you, Jennifer. The layering idea sounds good. 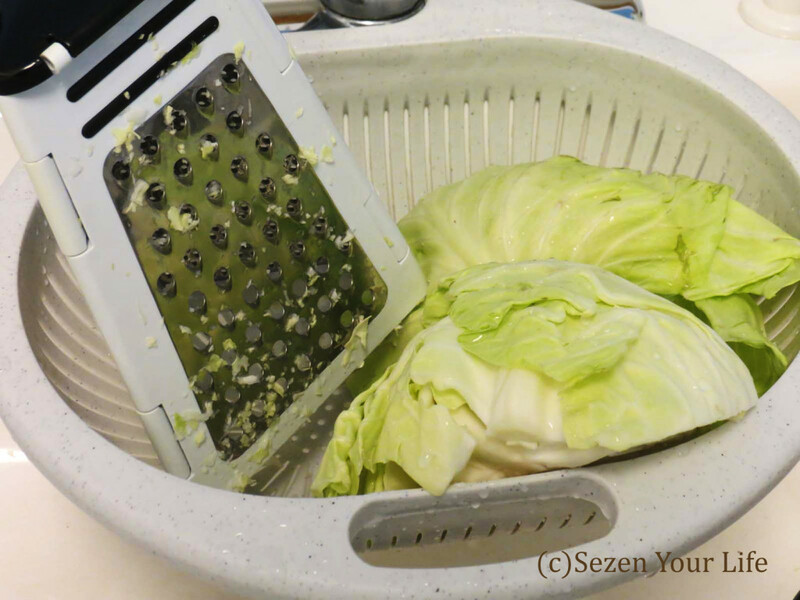 I’ll have to give it a try, it’ll save me time not having to shred the cabbage too. Do you place down part of a cabbage leaf, then the hamburger, then another leaf and wrap it all up in the dough? Also do you cook the cabbage before you put it in the oven? I’m intrigued. Thanks so much for the information. I’ll have to give them a go and see which one I prefer. I have several rcipes for these. One shortcut in one is to use onion soup mix for the onion and spice flavors. I still like best the one with made from scratch egg bread. Marilyn, the onion soup mix is a wonderful idea, as well as the egg bread! I love any sort of homemade bread anyway and then incorporate the cabbage burger mix, you can’t go wrong. Thank you very much for sharing. Thank you everyone for all of the wonderful comments and suggestions so far! I’m going to be eating cabbage burgers for months to try all of them. 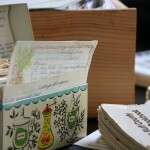 Grandma would be overjoyed to know so many people have found her recipe useful. I just made these today!! My brother is visiting from Arizona and mentioned that he wanted to be sure to have a Runza while he was back. So I had him over and made these!! Yummm!! I use the Rhodes frozen buns. Makes 36 and that is just about the amount of meat I make too. I freeze them for future meals! I’m so glad you and your brother enjoyed them, Vickie. 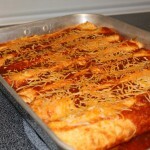 I love making a big batch; they are one of my favorite meals to freeze and always have on hand. My grandmother was also German from Russian descent and she made them exactly like you’re saying. She would often make cinnamon rolls with the extra dough or bake little loaves of bread for the grandkids. I remember her shaping the loaves into little ducks. I’m getting ready to do a cinnamon roll post using her recipe. I’ll try to get that published soon. Could you make these with puff pastry? My family is originally from Germany and we call these beirocks. One thing I have done to make them easy for a take to work lunch is use pita bread. I kept the beef/cabbage mixture in a container so I could hear that up separately then stuff it in a half pita bread and top with cheese. Easy and yummy. That’s a great idea, Gwen. I’m always looking for easy lunches that are delicious and filling. I’ll have to give it a try. Since the boys are all grown and gone from home, making a big batch like I used to is way too much food and way too much trouble. Once in a while, I make a small batch of filling and use the Grand size biscuits for bread. 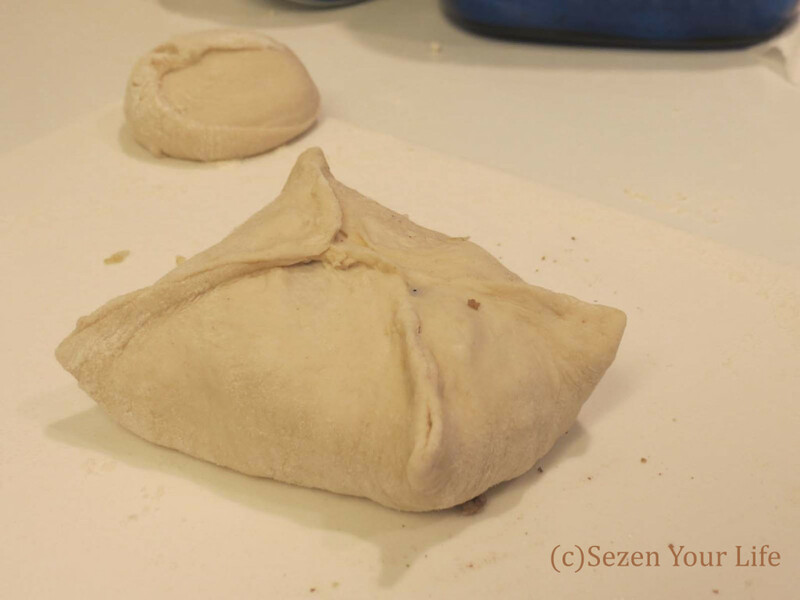 I roll them out a bit, put the filling on one side and just fold them over so the finished product is a half circle. I find that pressing the edges with a fork works pretty well. They aren’t the same as “real” ones but they are still good. I think this is a great solution when you only have a few to feed and limited time! Like you said, probably not the same as the real ones, but great in a pinch. Since they are smaller they could be great for appetizers. Might have to try some for the big game coming up. Hmm, I wonder what a ham & cheese version would taste like? Or, how about ground beef, a bit of spaghetti sauce and mozzarella cheese? Tressa, those both sound great. The possibilities are endless. Thank you! I have made these for many years. Now as I’m aging I take short cuts, on this the only thing I do differently is buy Shredded cabbage. I freeze individually so we can just pop one out and microwave it. Buying shredded cabbage would be a great time saver. Between that and using a pre-made dough (like the frozen loaves) would really help cut down the prep time. Thank you for your suggestion, Treva! I grew up in Lincoln, Nebr, very time I go home I buy a dozen frozen ones from Runza Hut and bring them home..(that is the easiest way to make them HAHA!) Several of the people leaving notes, noted their relatives were Germans from Russia, so am I . Walter, Frank and Norka Russia…. I miss Runza greatly and look forward to eating my fill when we visit family back in Nebraska this summer. If we weren’t flying, I’d be bringing home a freezer full too! – I think it’s so wonderful that we are connecting with other Germans from Russia descendants. My grandmother’s maiden name was Knaub, and they were originally from Merkel, Russia a Volga German Colony. I just found a site that has a map, http://www.VolgaGermans.net showing Walter, Frank, Norka, and Merkel within a 20 mile radius of each other, amazing! I have also been informed there is a Library and Museum for the American Historical Society of Germans from Russia in Lincoln, Nebraska. So the next time you’re in the area you can get a Runza and visit the museum to brush up on the family history! My mom makes these with sour cabbage, tastes like a cabbage roll, she also makes ham and cheese, and cheese and bacon. Yummers! Those sound so good. I’ve had them with cheese before, but I can’t believe we never thought of adding bacon too! Next round I might have to try cheese, bacon, and a little barbecue sauce. I LOVE good old Cookies Bar”B””Q” Sauce, it’s my favorite! My Mom and Grandma used to make these often, but we called them Kraut Strudel. I am curious to know if others know them by that name. The ingredients in your recipe are exactly as I recall and they are amazing. I don’t know why I don’t make them more often. Thanks for the frozen dough and shredded bag of cabbage tips to save time. It seems that there are all sorts of different names for this wonderful dish. I talk myself out of making them too often due to the longer prep time. I am also very thankful for everyone’s suggestions to help speed up the process. I love the ones with Swiss cheese and mushrooms in them and have made them many times throughout the years. This has activated my crave-ometer though so I guess I better get cooking. Yummy!! Swiss mushroom cabbage burgers are great! Every time I come back to this post or reply to comments my “crave-o-meter” gets activated too! 🙂 Love it! Can’t wait to try cabbage burgers…looks delicious. Thanks for sharing. You’re very welcome, Loretta. I hope they turn out great for you. Enjoy! 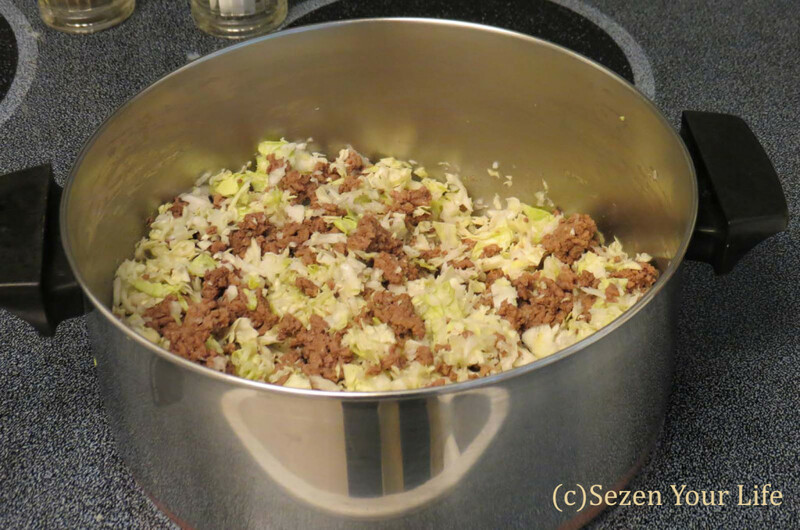 This is how I make Cabbage Burgers/Runza’s…very good. For a fast variation brown the burger with seasonimgs & onion, add the shredded cabbage. Put in bottom of 9X13 baking dish, sprinkle1 1/2 cup mozzeralla cheese over the top. 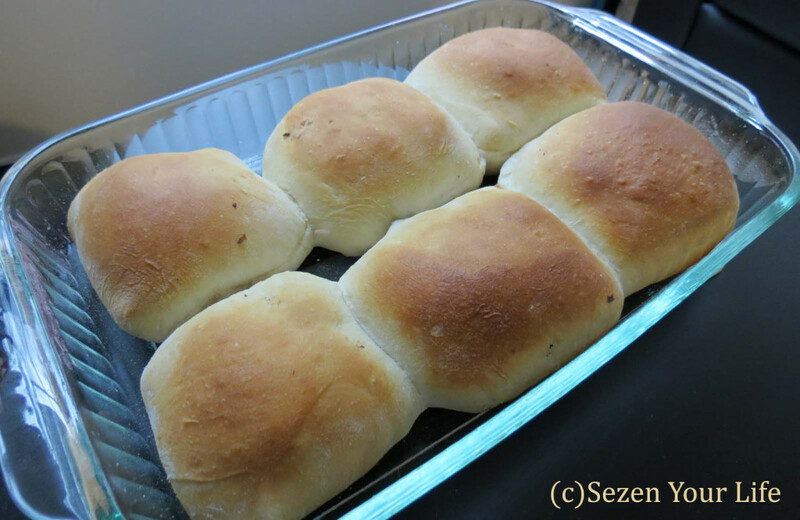 Open 1 can cresent rolls and lay flat over the top of burger& cheese & bake about 35 minutes. Thank you for the great idea, Debra. This sounds won­der­ful! Do you bake at 350? I can’t wait to try this. I had condensed tomato soup and a little nutmeg to the meat mixture, and sometimes a little cooked rice. More great ideas! Thank you, Teresa. I think the dill weed seasoning might add a great flavor. I’ll have to try that next time. Thank you for the suggestion, Charlie. I just recently had bierocks for the first time at work. They were delicious. Thanks so much for posting this recipe! I plan on trying it myself. You’re very welcome, Sue. It sounds like you work some place wonderful 🙂 I hope you enjoy making the bierocks! They are so delicious and always remind me of home. My grandma is Czech. We begged for these. Called them beirocks. I make them now exactly like your recipe, only use hot roll mix. Granny made her own dough, of course. Granny lived in a little town, Wilson, Kansas, which is the Czech Capital of Kansas. They have their Czech festival every summer and there’s lots of beirocks for sale. She would sweeten the dough and make raisin buns. So, so good. Also with the dough she’d make kolaches. I haven’t mastered her kolaches. Loved reading the comments. 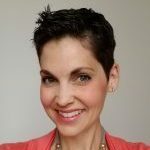 Thank you so much for sharing, Sherry! This makes me miss my Grandma and being in the kitchen with her. The Czech festival sounds like a lot of fun, especially with all of the wonderful food! I LOVE kolaches, but have not mastered those, either. Thank you again! How would you suggest that I reheat frozen kraut burgers? Would I defrost first and then put in oven? Should I wrap them in foil? I have had problems with the bread getting tough. Thanks. That’s a great question, Vicki. It is difficult getting them reheated and keeping the bread soft. Honestly, I usually keep a few on hand in the freezer for a last-minute dinner for my husband if I’m away. He generally just pops one in the microwave, and as long as he doesn’t overcook it, they actually turn out pretty well. If you had a full pan, defrosting and then in the oven, covered with foil sounds like an excellent method. Next time I make a batch, I’ll have to try it out. If you happen to try it before I do, I’d love to hear how it works. Please feel free to comment with any feedback or suggestions. Thank you! Thank you so much for the follow-up email, Vicki. It’s great to have confirmation that this worked so well! I will definitely try this in the future. Thanks again! I grew up on cabbage burgers and always make and freeze them. This year I have an over abundance of cabbage in my garden. I was wondering can I make the filling and freeze to make more when we run out of the ones I already made? Great question, Deb, thanks so much for asking. Yes, I have frozen just the filling to have on hand for quick and easy dinners. I like to freeze some of it in smaller containers and then defrost a day ahead of time in the fridge. 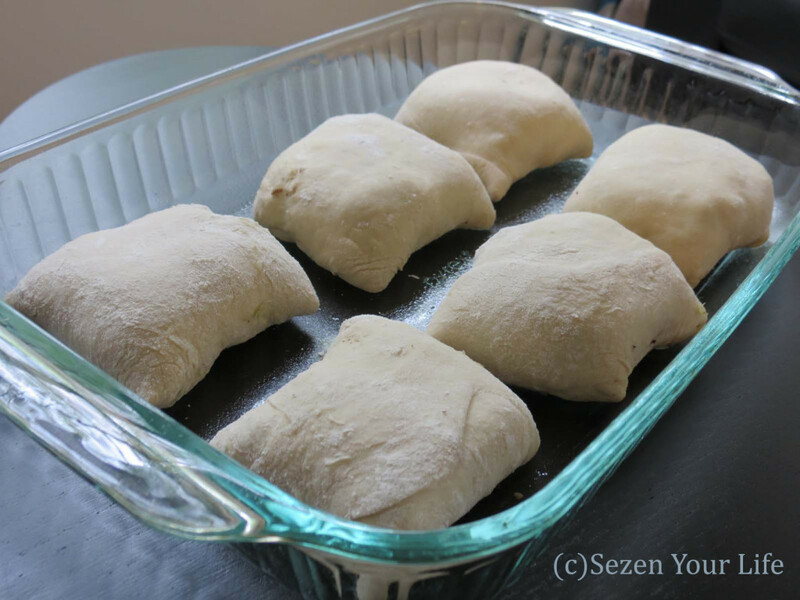 That evening for dinner, I’ll put the filing in homemade dough or even refrigerator biscuit or crescent roll dough and bake either according to the directions on the package or according to this recipe if using homemade dough. They turn out great. I’ve never had an issue. So feel free to put that delicious fresh cabbage to good use!